Kosher Info: Copenhagen does have a kosher market, Samson Market, but it holds strange hours – you should call in advance. There is a veggie restaurant that the locals visit near the Stroget (pronounced “stroyet”) called RizRaz. Ask to make sure which dishes have dairy in them and which are purely vegetables. There is a Glatt Kosher Hotel about one hour north of Copenhagen called The Villa Strand located at Kystvej 12, Hornbæk 3100. Open from the beginning Pesach until Rosh Hashana. It is situated on the beach and has rooms that look out onto the water. There is a mikvah and a nearby shul. Tourist Info: The city is beautiful, filled with castles, gardens, museums, and shopping. Its metro system is fast, clean, and efficient, although we did experience one hiccup in the system on an early morning train to the airport. 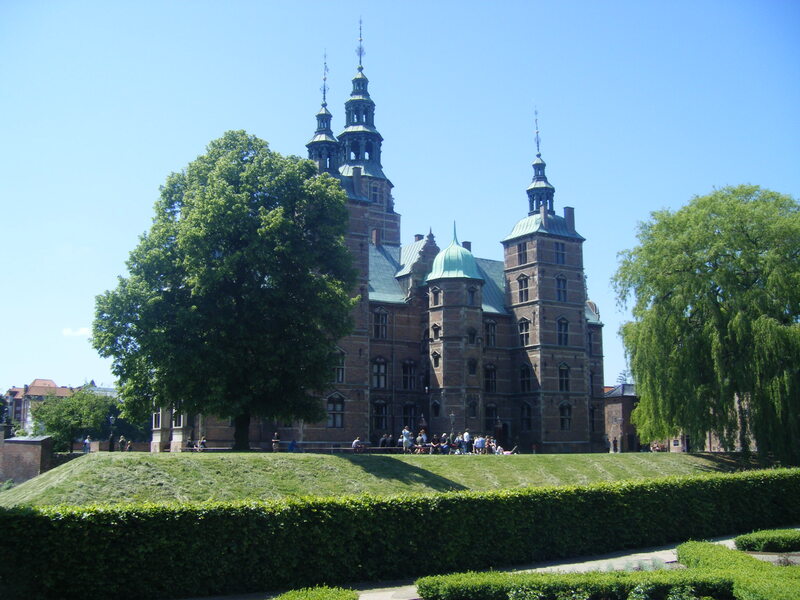 Denmark has the oldest monarchy in the world and Copenhagen is where the royal family resides. I recommend visiting a few of the castles to experience the grandeur of the royal history. Take a walking tour of Christiansborg, a beautiful castle where you must change into slippers and can’t wear any head-covering (they made me take off my cap, but a kippah may be OK). Rosenborg Castle is surrounded by palatial gardens within the city. This castle is host to Denmark’s crown jewels: massive jewelery owned by the royal family, jewel encrusted swords, crowns, mirrored rooms, and velvet covered thrones. Tivoli is a huge attraction in the middle of the city, right next to the main train station. It contains one of Europe’s favorite amusement parks, nice gardens, and entertainment. The Stroget (as mentioned above) is the main shopping area of the city. Its a beautiful place to walk around (it is pedestrians only), have a coffee at a local cafe and people watch. The Stroget streches for many many blocks keeping you quite busy. At the south end of the Stroget you will find the town square where you can find a street market (looked more like a garage sale to me), or festivities depending on the time of year. The National Museum, while pretty and large, was not a favorite of ours. That may not be universal, but it wasn’t our cup of tea. While I’m not the biggest beer drinker, everyone we spoke to suggested visiting the Carlsberg brewery in the southern part of the city. Other landmarks to visit are the Little Mermaid, and the Gefion fountain nearby. The city, intersected by many canals, has boat tours running throughout the canals and rivers. We really enjoyed Copenhagen, it is definitely worth a visit. 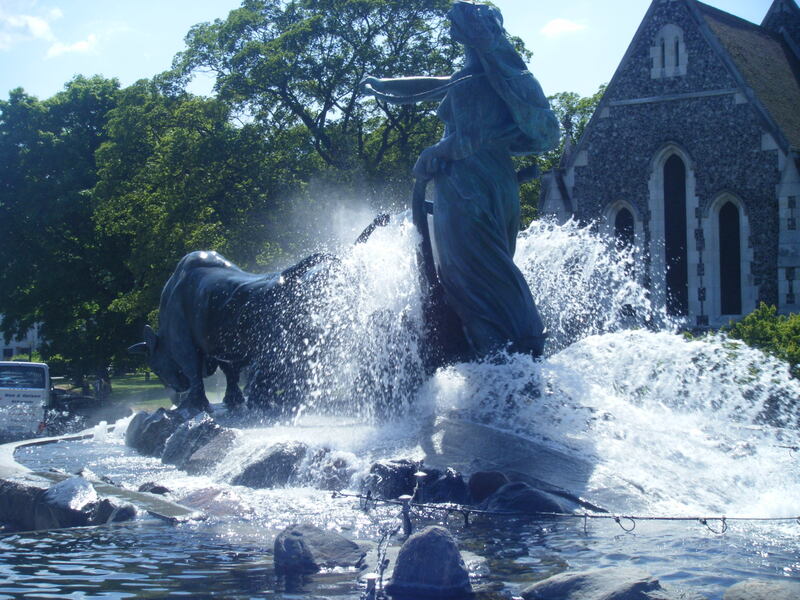 Jewish Info: Denmark’s Jewish community has some history to it dating back a few hundred years. Its current community is much smaller than it used to be. The main shul, The Great Synagogue, located downtown at Krystalgade 12, may offer free housing in exchange for helping them make minyanim while you’re there. You should contact them in advance to see if that offer still stands. The synagogue is marked on most city maps, but was not open when we stopped by. Other orthodox shuls include the Chabad (Chabad Huset, Ole Suhrs Gade 10) who offers Shabbat meals and a mikvah, and can be contacted by: info@chabad.dk; and Machsike Hadas, Ole Suhrsgade 12, which also hosts a mikvah. 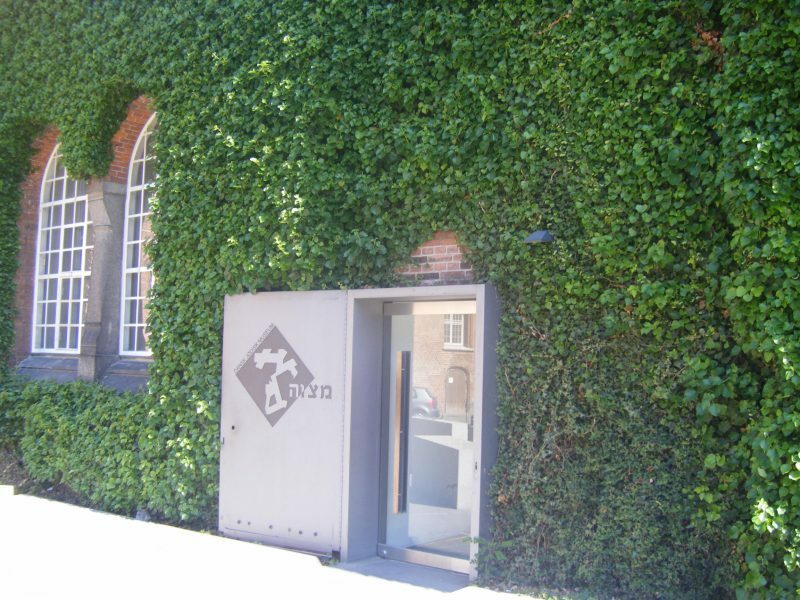 The Danish Jewish Museum (Dansk Jodisk Museum) is located within the grounds of Christiansborg palace, but is not the easiest to find (unless you have superb map reading skills). The museum is a small modern exhibition designed by famous architect Daniel Libeskind (it has won architecture awards). It takes you through Jewish Danish history, and notably praises the Danish government for protecting its Jewish population during the Holocaust.